Trade Show registration desk balloon decor. 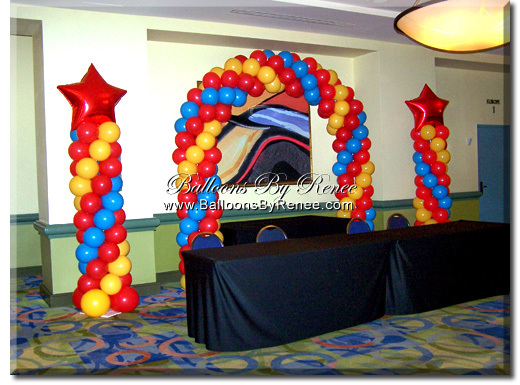 Swirled latex balloon columns and swirled latex balloon arch. Walt Disney World Dolphin.